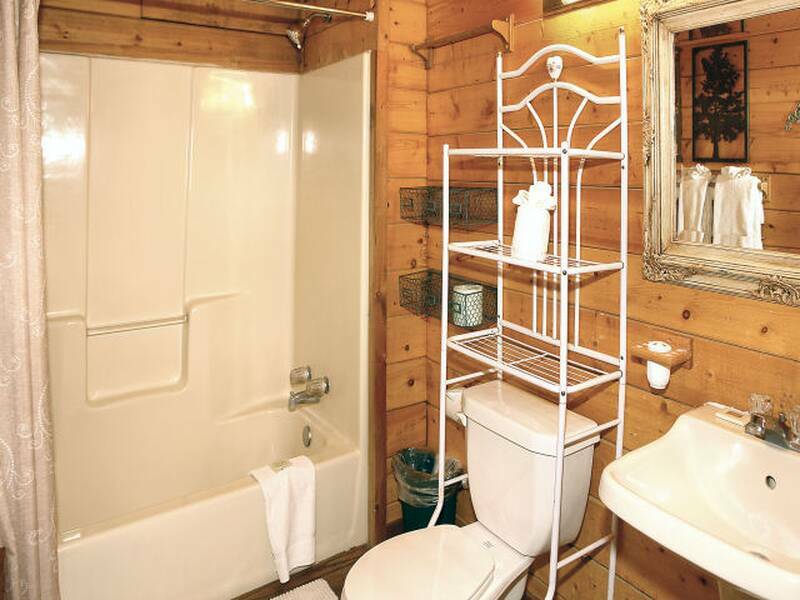 Sugar Shack is a 1 bedroom and 2 bath cabin that offers 1272 square feet of living space. 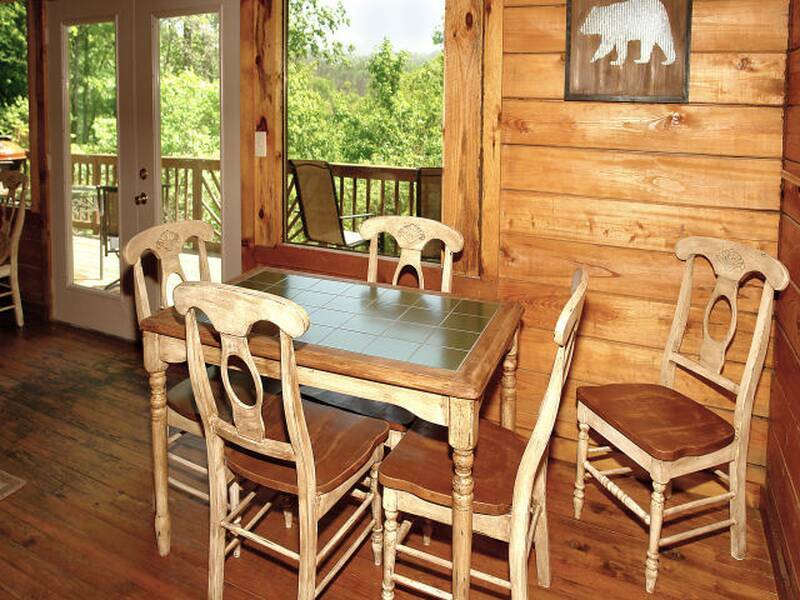 We recommend this cabin for more private occasions for up to 2 people. 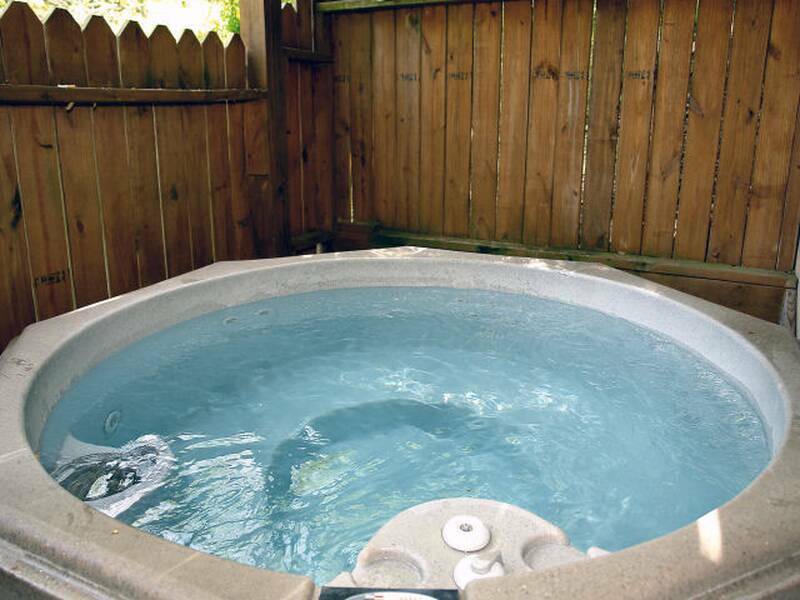 You may book for an anniversary, Valentine’s Day or any spontaneous romantic getaway. 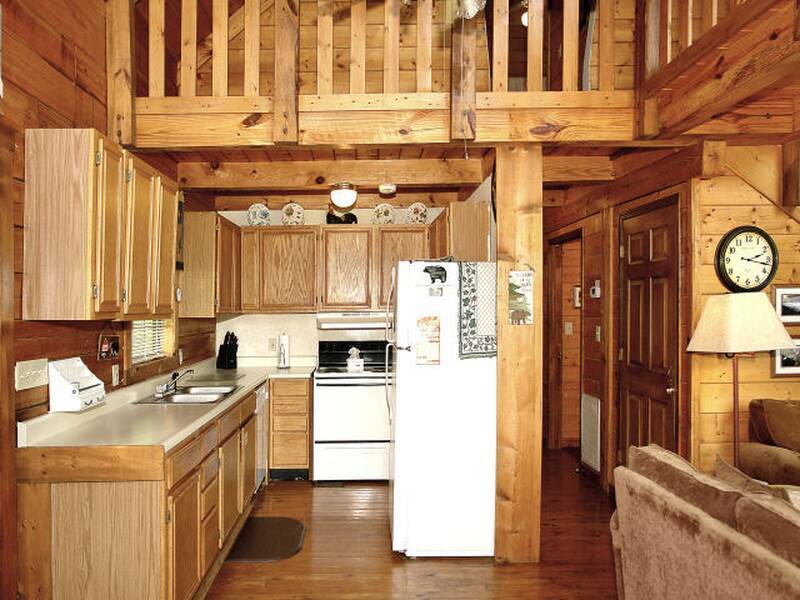 You’ll find little romantic touches throughout the cabin: The back kitchen door has a heart shaped window to add to the romantic mood. 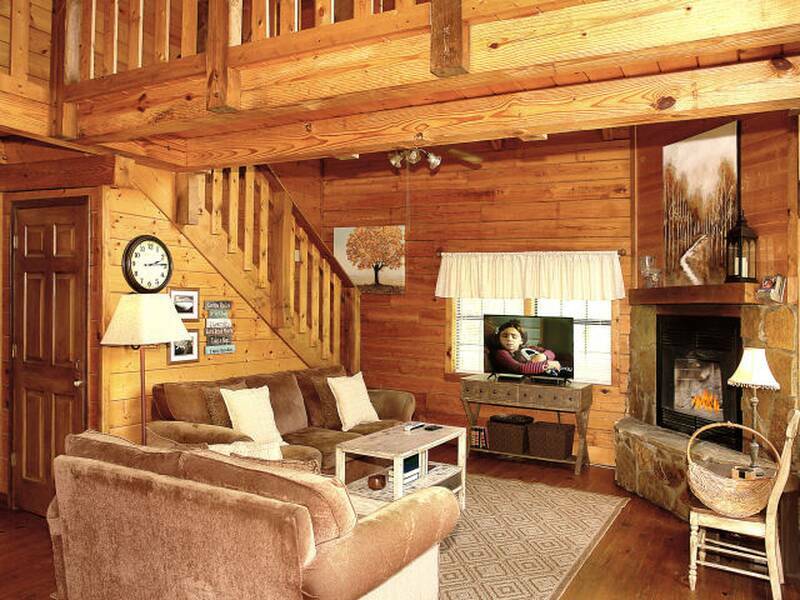 What’s more, Sugar Shack comes with a real wood buring fireplace to add to the cozy ambiance. 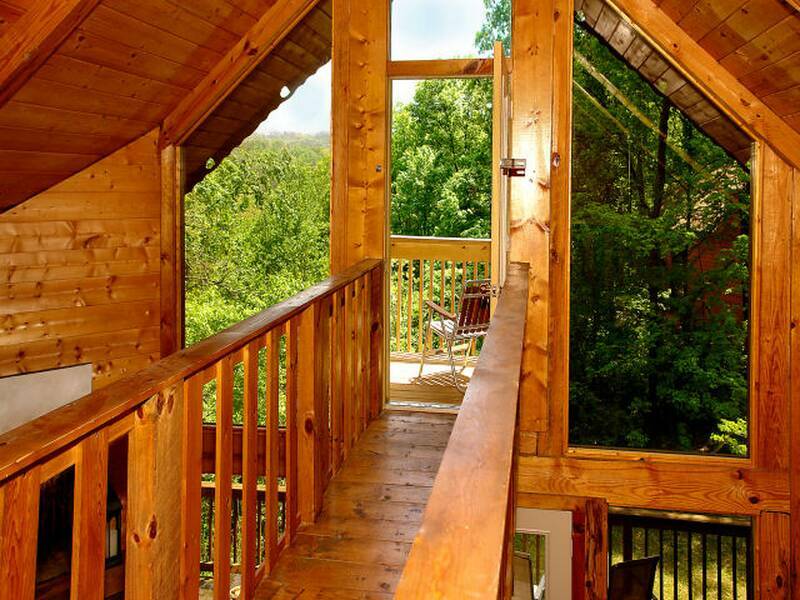 Make sure to spend time on the second floor deck during your stay. 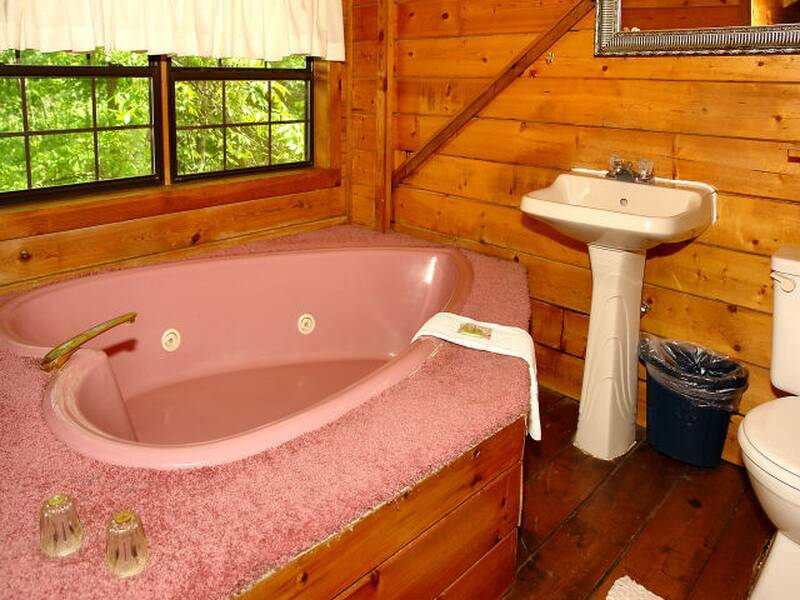 This is a perfect spot for romantic moments. 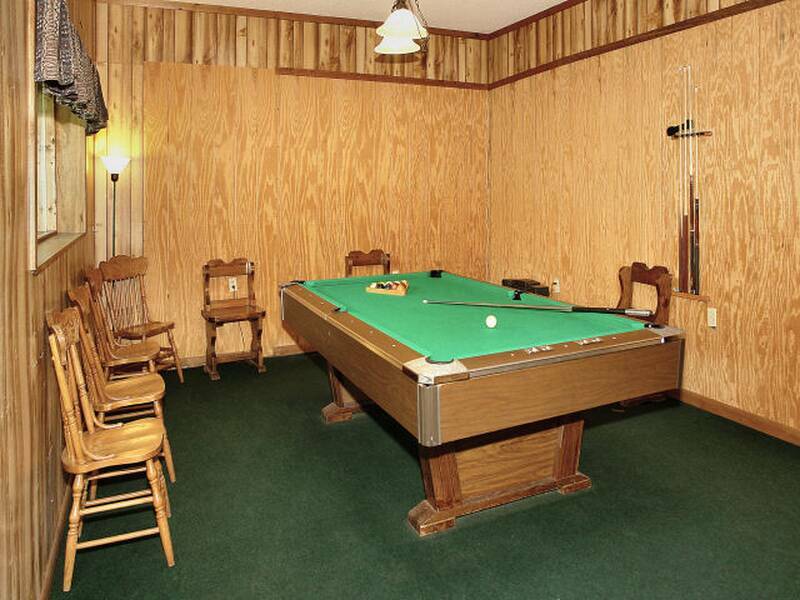 Your couple’s getaway to Gatlinburg will be perfect in every way because this cabin offers everything you need, including an equipped kitchen, cookware, towels, linens, TV with cable, pool table, fireplace, and hot tub. 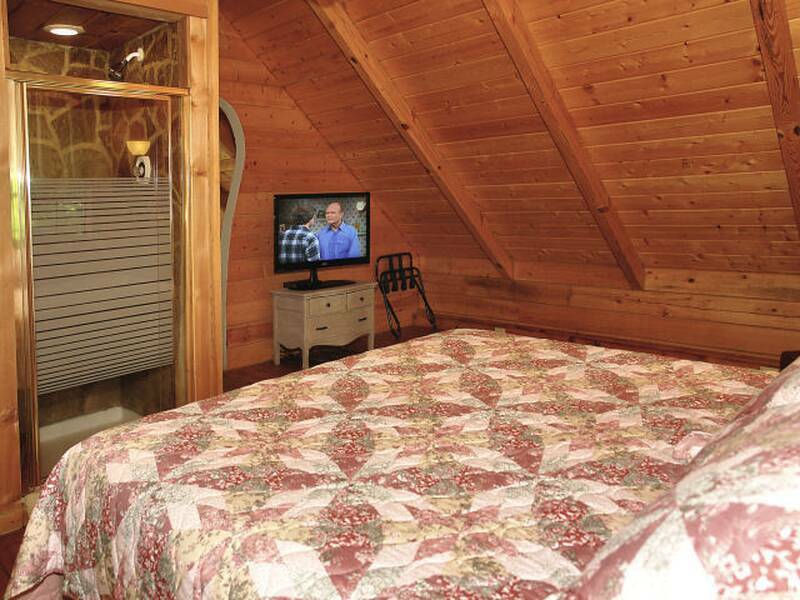 Also, the second floor loft entrance is curved into a heart shape that adds to the romantic atmosphere. 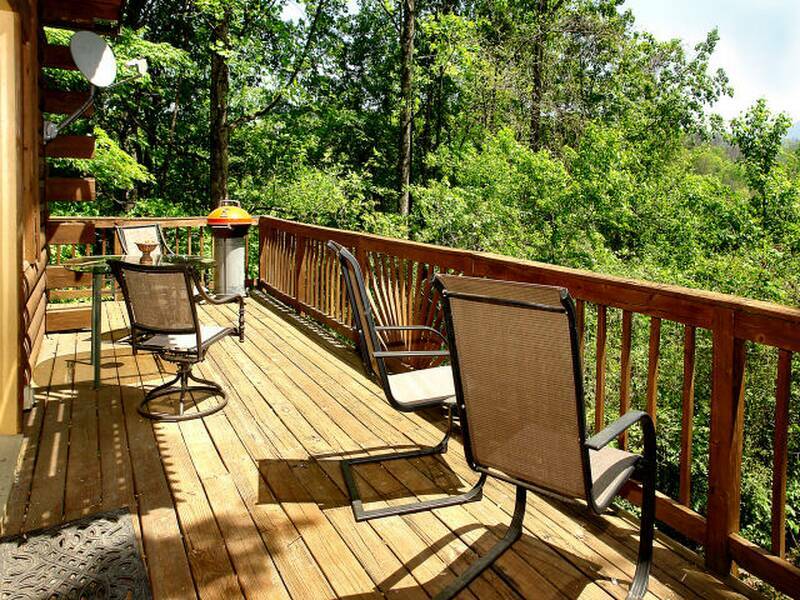 If you decide to entertain, there are several chairs on the deck to accommodate your guests. 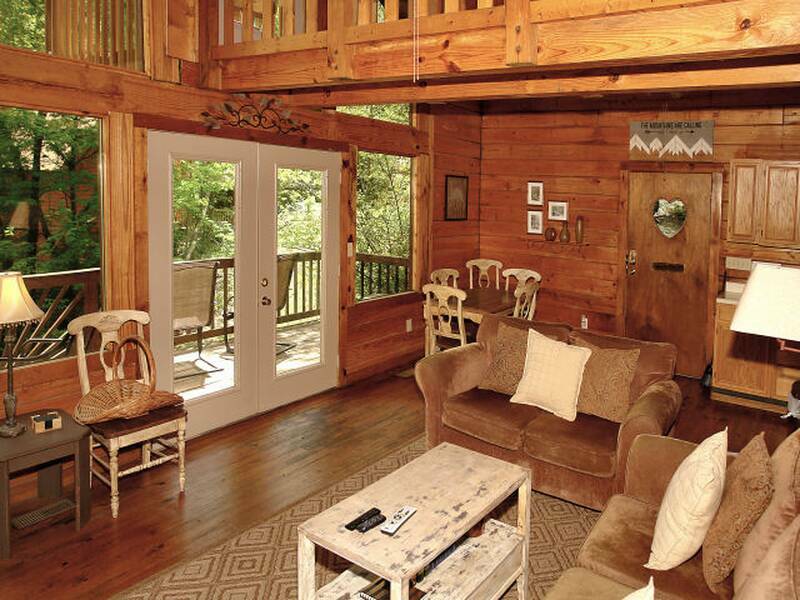 Be sure to book this Gatlinburg cabin and start planning your trip! 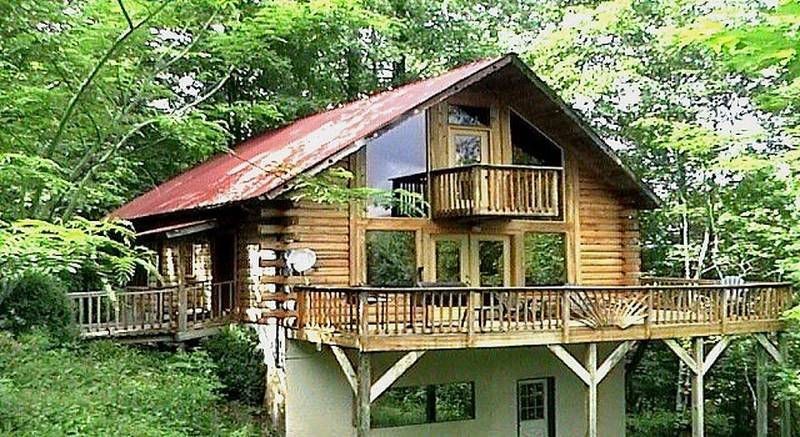 Nice little cabin, great for couples My boyfriend and I really enjoyed our stay here. Cute little place that was very comfortable. 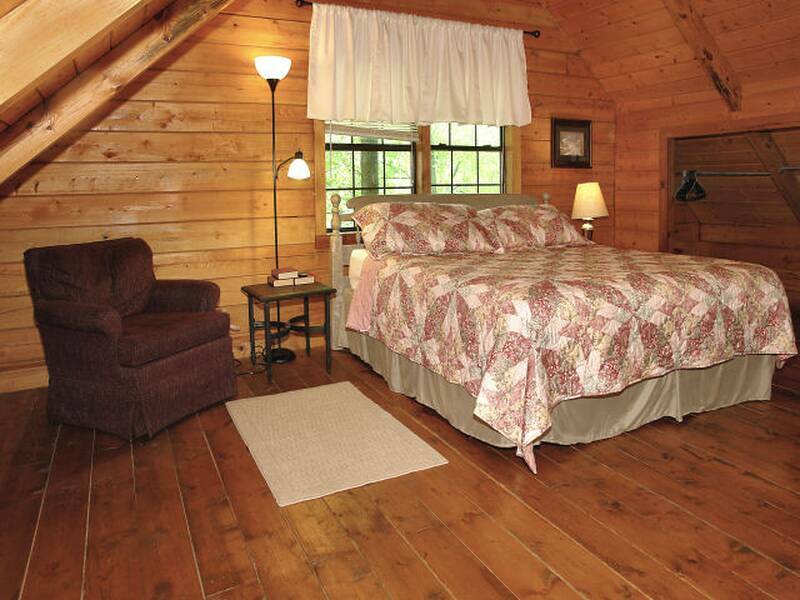 Love the size of the bedroom and the king size bed, most cabins do not have that. 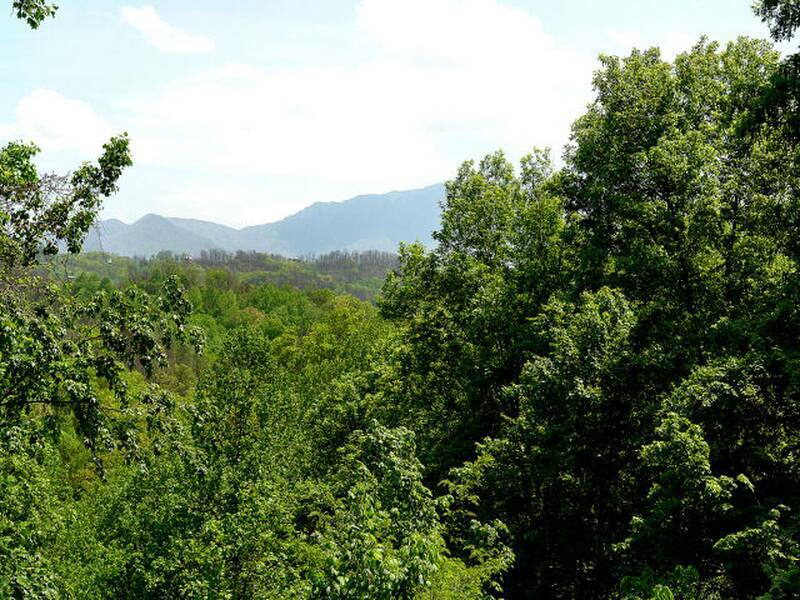 It was perfectly located between pigeon forge and Gatlinburg and the mountain view was beautiful.